My request is i want to visit the Labrynth Sunday 9th October, my sister in law is unable to work the distance from Paddington Gate there is there another entrance where a taxi could leave us. i am sorry we are travelling from Victoria so will miss the 1st October Walk. Many thanks for this opportunity to see the Labrynth i remember seeing the the Building the Labrynth on Compass!! never forgotten. we are travelling from Metung via Canberra. Hello Emily. 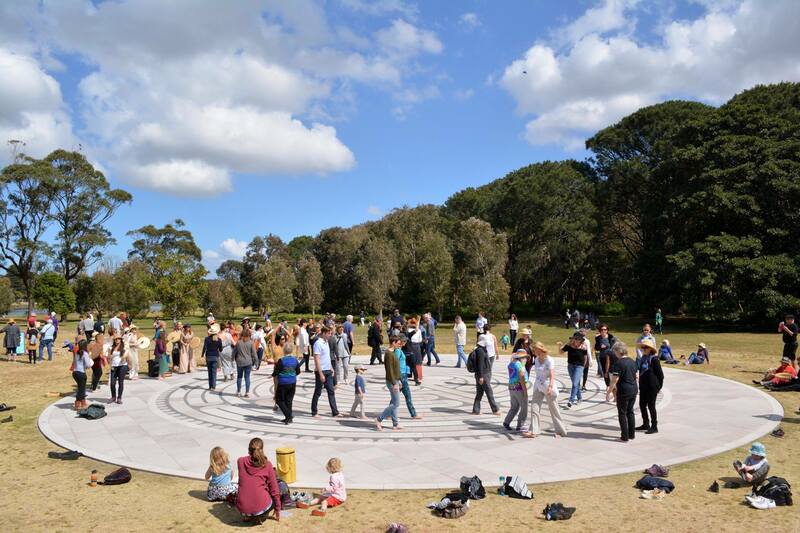 I am on the mailing list and have been interested in the Labyrinth for a long time, but as I live in Central West and doing a few other things, had not been able to get to finished site. But got there Mon 17th Dec.
A hot day, nobody else close by, and just did it. All good. Very well made. Abstracted spirit of place character quite powerful. Not much of that in Australia. Perhaps it is time for a Simon Petra Athonite Retreat/Quiet place in the Wilderness. I have a site to suggest near Lithgow, (not too far out;dramatic landscape) and a few rough sketches if you are interested.